Hawkmoths (family Sphingidae) are some of the most colourful and conspicuous moths in the British Isles. This 8-panel laminated fold-out chart has illustrations of the adults and caterpillars of all 18 British species (including the 9 resident species). 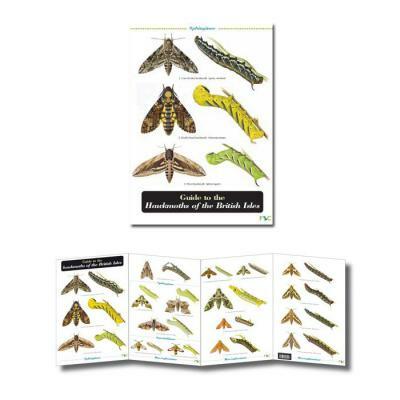 Text on the reverse side gives valuable information to help you with hawkmoth identification, including for each species the regional distribution in Britain and Ireland, the main larval foodplants and the time of adult emergence.